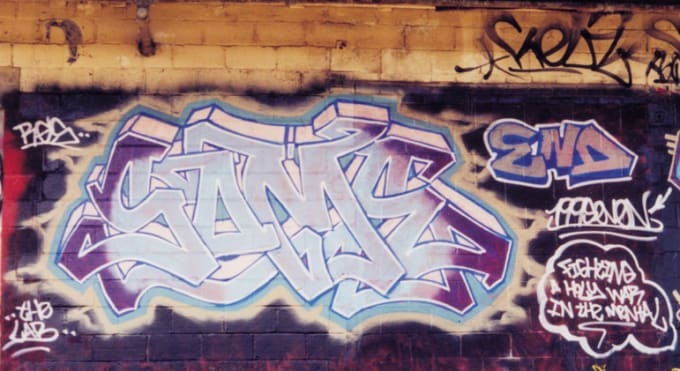 SOME began writing graffiti in 1991, when he was 12 years old. As part of the northern DC/Montgomery County graffiti boom at that time, he bombed the suburban towns of Bethesda and Chevy Chase. His efforts drew the attention of a newly formed county vandal squad, which raided his home and arrested him for numerous acts of graffiti. SOME reemerged in the late-90s as a pioneering member of the END crew which went all-city in 1996. He is most noted for painting along Amtrak’s commuter train line from DC to Connecticut, with his partner RAZEL in the late 1990s. Since that time he has remained active presence in the DC scene as a member of 2DK L.A.B.